Engineering Specifications – Innovative Aluminum Systems Inc. The design flexibility afforded by extrusions is sometimes referred to as “putting the metal where it counts”. 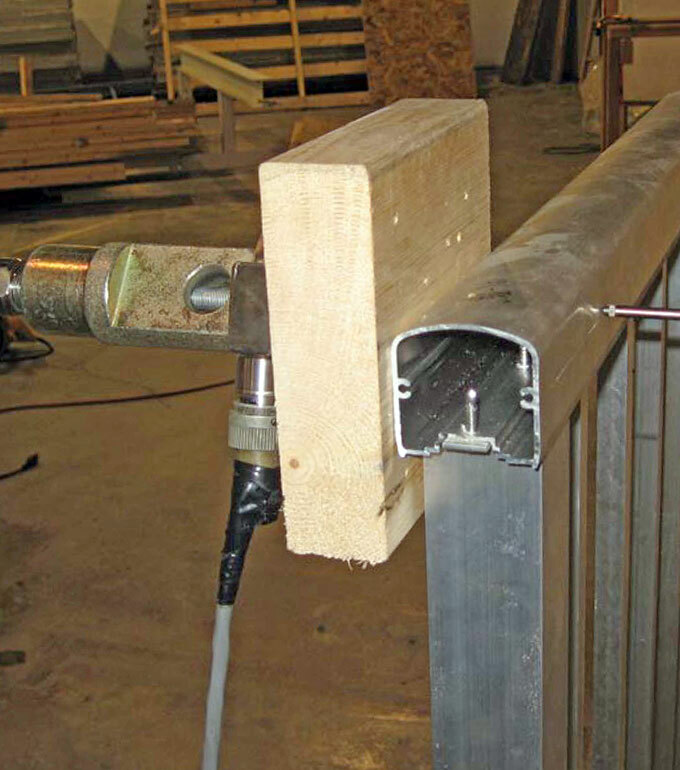 Innovative’s railing profiles and posts are designed to put the metal where it is needed so as to produce the strongest railing system possible, while at the same time taking metal out of low-stress areas to improve cost-effectiveness. What’s more, aluminum’s ability to accommodate a variety of surface treatments allows for both visual appeal and flexibility in application. Innovative Aluminum is proud that its railing systems meet 2015 International Building Code Standards Section 1607.7. Performance testing of Innovative Aluminum guard railing was completed to meet Section 1607.7 of the International Building Code following ICC-ES AC 273 “Acceptance Criteria for Handrails and Guards”. Innovative Aluminum’s welded picket and component glass systems passed all test requirements, with two different post designs, allowing us to provide a full range of products that meet a variety of anchoring situations and / or systems. Innovative currently offers two engineered systems to our clients (surface / deck mounted or fascia mounted). Both systems were tested to a rail height of 42 inches. Innovative Aluminum also offers in house testing and stamped engineered drawing for “custom designed” rail systems. Innovative Aluminum Systems has engineered two railing systems to meet current IBC AC 273 code requirements for the United States market. Our two systems are engineered to 72″ (6 foot) on center and can be surface or fascia mounted.